﻿Down below are some LGBTQ2 resources and events happening in the city. ​Discover literary works by trans, gender-variant and Two-Spirit authors and share your favourite reads (including books, films, articles or blogs) with others. Discussion facilitated by Ivan Leonce, a black queer activist, artist and educator. In partnership with PeerNetBC, Qmunity and Vancouver Park Board. Designated gym time for trans, gender diverse, and Two-Spirit individuals and their family and friends. A universal change room is also available. 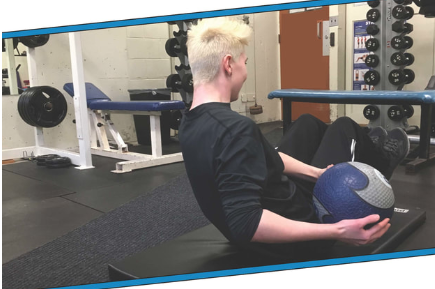 The fitness centre offers a variety of cardio and strength-training machines, free weights, exercise props, and a stretching area. There's everything from stair climbers and elliptical machines to balance boards and body balls. Where: QMUNITY’s Office, located at 610-1033 Davie St.
A peer-led social and support group for bisexual, bi-questioning, and pansexual individuals and allies looking to explore and share their lived experiences. Bifocus offers a community where bisexual and non-monosexual folks of all genders can exchange diverse perspectives on bi/ pan/ questioning issues and experiences. Share feelings, fears, knowledge, and questions in a non-judgmental space, striving to empower folks of all backgrounds. Delve into topics of relationships, oppression (biphobia, bisexual invisibility, monosexism), health and mental health, coming out stories and more! Email bifocus@qmunity.ca if you'd like more information. QMUNITY holds a whole range of social groups. Check them out via the button below. Where: Our Community Bikes / 2429 Main Street. Twice a month Our Community Bikes [near Main & Broadway] opens their doors after hours (6:30pm to 9:30pm) to women, trans and queer identifying people to use the shop. It’s a welcoming space for people who may feel less comfortable in the male dominated realms of cycling and mechanics. Women on Wheels happens the first and third Wednesday of every month at OCB. 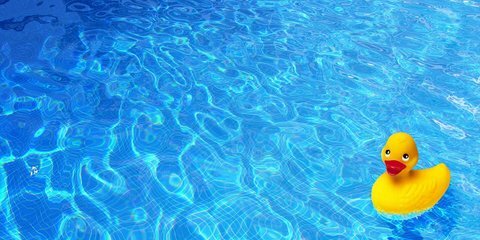 Ensuring trans and gender variant individuals have access to a safe and welcoming environment, the pool & fitness centre is reserved at this day/time for the sole use of patrons who identify as trans, gender variant, twospirit and their family and friends. There is even a 30 min buffer to get changed before public swim starts at 2:00pm. Are you a cyclist who is woman, gender queer or trans* ? Need to do some fixing, or just interested in learning how to repair your own bike while building community? 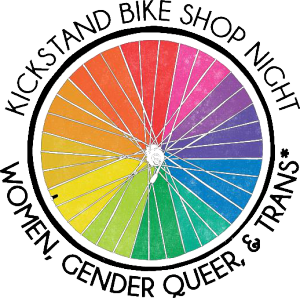 Kickstand invites those who identify as women, gender queer and trans* to fun-filled bike mechanics nights between 6:30 and 8:30 pm on the 2nd and 4th TUESDAYS OF EACH MONTH. The community is working towards being a radically inclusive space and with that in mind are excited to host these evenings for individuals who have not traditionally been a dominant part of the bike industry. The nights will be facilitated by bike mechanics and volunteers who are also female or gender variant. They strive to create a safer space where learning, positive vibes and fun happens! ​On these evenings, SHOP TIME IS FREE. This means you will have access to all tools and experienced bike mechanics will be available to answer your questions and help you fix your bike! Also, between 7:30 – 8:30 the mechanics will be giving basic bike mechanics workshops, with a new topic each week. HIM (Health Initiative for Men) has teamed up with some very talented yoga instructors to offer sessions on Friday nights. This is an easy-going group without attitude. It is open to men of all levels. The Scotia Dance Centre has a lounge if you arrive early. Please note that you will be asked to sign in to the building at the front desk and that is where you can get information about which studio we are in and how to find it. ​(most people give $5 to $10). The class starts at 7 sharp and there is no late entry. 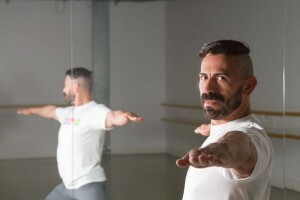 GenYoga provides hatha yoga practice for older LGBTQ2S adults. Led by a trained practitioner, it is gentle, fully inclusive and geared to beginners as well as longterm practitioners with some attention to mindfulness and breath. Yoga is an eclectic practice that requires no previous experience or specific fitness level. If you can get to Barclay Manor, you can practice yoga with us. Classes are free, accessible, and drop-in style. Bring a mat, blanket and/or cushion, if you have them. All levels welcome! Detail: Check with the reception on the first floor. 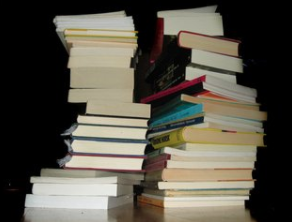 ﻿A free, fun book club for self-identified gay, bisexual and queer women. Accessibility: This location is unfortunately not wheelchair accessible. The "Non-Scene" 20-40 Gay Vancouver Meetup group is just that, a resource for individuals 20-40 years old who are down to make new friends, explore the city, and have fun doing a wide variety of activities typically separate from the gay bar "scene." We are LGBTQ+ friendly and respect is key here. We'd love for you to join the group.